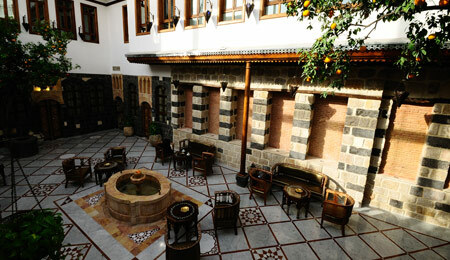 Al Pasha Hotel itself is one treasure of the Old City of Damascus. 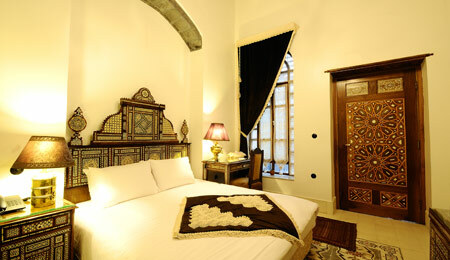 It is the result of adjoining three separate 18th Century old Damascene homes. The genuine and authentic walls & corners of the hotel tell the stories of pride and glory. 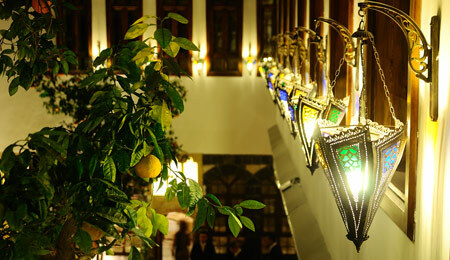 Those stories will make our valued guests feel the breeze of the past and live the hospitality of the present. 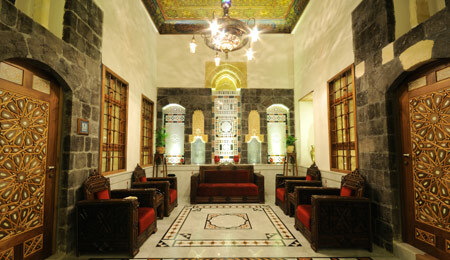 Al Pasha Hotel is located in Old Damascus, a major cradle of many civilizations. This grand �old city� is a great testimony to a wealth of historical sites dating back to precious periods. It was the capital of the Aramean Kingdom in the 11th Century BC; the Omayyad�s fiefdom and Saladin�s headquarters. And according to the Old Testament, it is only a very short walking distance from this Hotel, just off via recta, that St. Paul had the revelation of Faith. 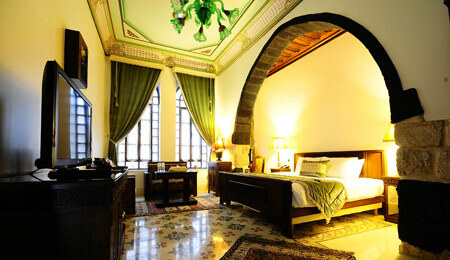 5 Suites: Each suite bears the name of a Syrian Pasha. 11 Bedrooms (8 large beds; 2 twin beds).